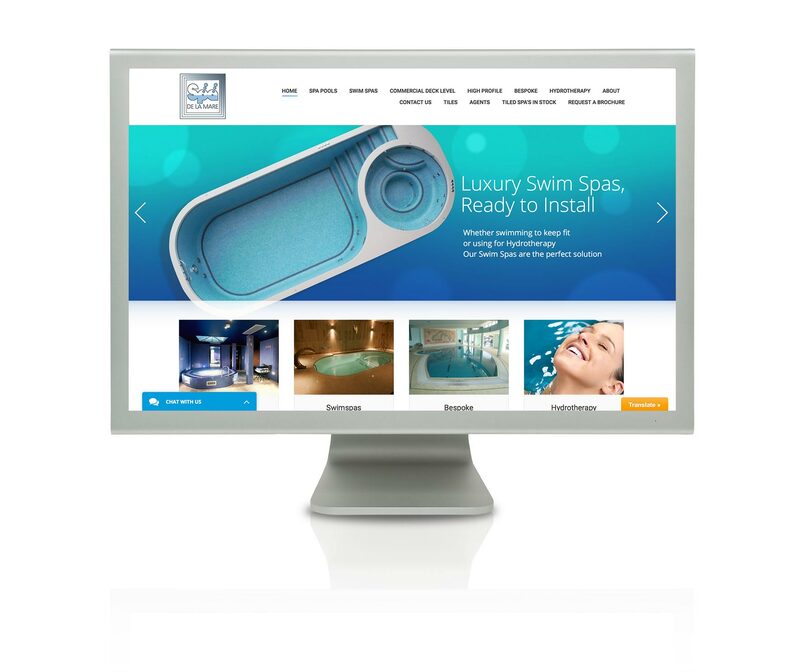 To celebrate 35 years of building world renowned industry leading Spa Products, Spa De La Mare engaged the services of Mad Co Limited to create a new suite of online marketing tools to further expand the business. Create a suite of online tools to gain access to the world Spa Pools and Swim Spa Markets more cost effectively than traditional methods. Inline with this the marketing assets had to be bought in line with current cutting edge technology to ensure longevity. First up came the responsive, search engine friendly website with a lead management system at its core to form the back bone of the new marketing activity. Secondly we deployed a cost effective but strong Google Adwords campaign to drive quality traffic. Next Mad Co worked with the back office team at Spa De La Mare to formulate a strong email database of previous clients and agents. Finally the whole process was governed by an intelligent and future proof Search Engine Optimisation plan to ensure quality organic traffic growth through time. An increase in Spa Pool and Swimspa enquiries of over 500% driving further profit into the business. Website organic traffic has already increased by 400% in the first 6 weeks of being live. In all the revised work on http://www.spadelamare.com/ continues to be a resounding success.